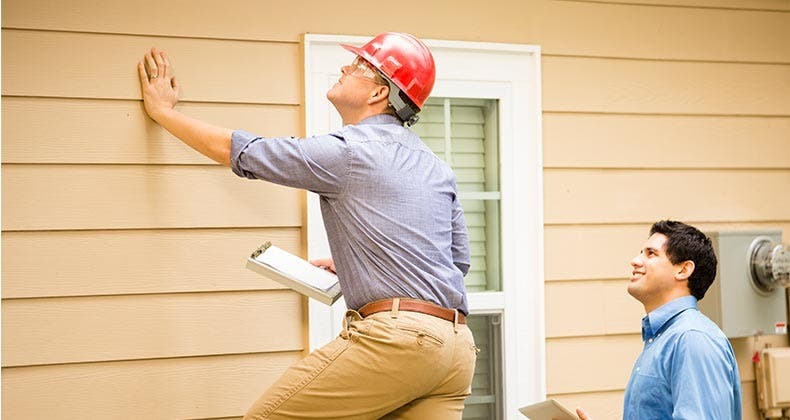 While another expense might seem like the last thing you need when you’re buying a house, most experts recommend a professional home inspection to get a better idea of what condition the property is in and what expensive problems might be lurking. “It’s important for homebuyers to understand that home sellers come with a variety of personalities and motivations and that a small percentage will absolutely lie and do whatever it takes to unload their home,” said home inspector Scott Brown, owner of Brightside Home Inspections in Syracuse, New York. Even the most honest sellers, however, can be unaware of hidden flaws in their homes — problems you might not want to deal with. Learning about any issues before you fully commit to a home purchase makes the home inspection cost worthwhile. RATE SEARCH: Compare mortgage rates on Bankrate. “Inspection pricing is fairly dependent on the individual market,” Brown said. “The cost of an inspection tends to increase with the age of the home and the square footage of the home.” Both factors increase the time it takes to complete the inspection, hence the higher cost. Nationwide, the home inspection cost for an average home should be between $350 and $600, he said. Other factors that affect how much an inspection can cost are how different the home is and how far the inspector has to travel to reach the home. In addition, home inspectors with more experience may charge more than ones with less experience. Consumer review website Angie’s List reports a national average cost of $473 for a home inspection, with a range of $375 to $550 for most inspections. A survey by HomeAdvisor.com found that nationwide, most homeowners spent between $267 and $371 for an inspection. The best way to discern whether an inspector is charging you a fair price is to see what other inspectors in your area are charging for homes like the one you want to buy. You may be able to shop online — some inspectors publish their fees on their websites. For example, Domicile Consulting, a home inspection company in Chicago, states on its website that it charges as little as $350 for a 1-bedroom studio or condo and $725 for a 6-bedroom single-family home, with the price potentially varying based on the job’s complexity. Another option is to call at least 3 inspectors, ask about their experience, give them the pertinent details about your home, and ask what they would charge to inspect it and how long the inspection will take. You can also ask to see a sample report to get an idea of how thorough each inspector is. A sample report that indicates a more thorough inspection might justify an inspector’s higher price. The answers you get from asking around will give you a range to determine what you should pay. Similar to how a doctor who is a general practitioner might recommend that you visit a specialist after making a determination about your medical condition, home inspectors will recommend specialists to homebuyers to provide insight on any alarming findings, Brown said. A structural engineer or foundation specialist might be recommended to further assess a foundation problem, for example. The specialist can provide quotes and recommendations on how to fix the issue. Get a specialist opinion before releasing the inspection contingency in your purchase agreement so you can use it as a negotiating tool with the seller. The cost of specialists’ assessments varies widely by field and by company, Brown said. A roofing specialist might provide a free quote, hoping to get the work. A plumber might charge $100 for a site visit, while a structural engineer might charge $800. Bill Leys, who performs specialty deck inspections for homebuyers in California, says the extra costs for specialized inspections can save a buyer tens of thousands in costs to repair hidden damage. The things he typically finds that home inspectors miss on decks, for example, are poorly affixed railings, dangerous glazing and dry rot in hidden or difficult-to-access areas. If after the fact you don’t think the home inspection was very thorough, is there anything you can do? Brown said if a client felt this way, it could indicate the inspector was not clear ahead of time about what will and won’t be inspected. Most homebuyers aren’t knowledgeable enough to realize that an inspector might have overlooked something. If the inspector misses a single item that the buyer notices, the average inspector will be professional about it, apologize and amend the report, he said. Ask for a refund of the home inspection fee. Ask the home inspector to rectify the situation by paying for the fix. But some home inspection contracts limit the client’s recourse to suing for the amount of the home inspection cost. RATE SEARCH: Search mortgage rates.